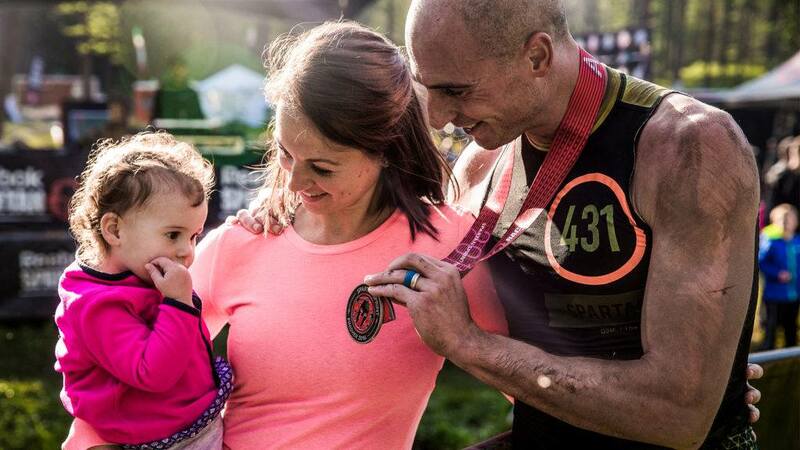 Use Spartan Race Father’s Day promotion code SPARTANDAD and get 50% off gear, $69 races and 2 free digital books with any race purchase (Spartan Up! & Spartan Fit!) I advise racers and fellow Dad’s to first figure out your race type, consider the endurance events, enter your children in the kid races, and for sure study up on the course obstacles. Then go out into nature and crush a 2017 Spartan Sprint and Spartan Fit using the discount code. When that works as planned, consider doing a Spartan Super, Spartan Beast and Spartan Trifecta, a Spartan Honor, along with a Stadium Series and Mountain Series event. Use sports tech products to help performance training such a TomTom GPS sport watch, record and share the race day moments with an action cam, and shine your path with a powerful headlamp when needed. After you are ultimately challenged beyond belief while feeling a sense of accomplishment any Father and family would be proud of, the Sports Techie community blog readers and followers on our social media network can apply that same mindset to life’s everyday challenges. This is the year I will enter my first Spartan Race after already losing more than 30 pounds of fat, AROO! Free e-book download and $69 Sprint afternoon race offer valid with an adult registration during promotional period only. Must use SPARTANDAD code during checkout. Code cannot be combined with other codes, including GovX. Offer not valid with Spartan Passes, Volunteer, or Groupon entries. New, afternoon time block registrations only, cannot be retroactively applied. US events only. Offer ends 06/18/17 11:59PM ET. E-book download instructions will be supplied by 6/22/17. If you need extra motivation, watch all the videos and be inspired by the thousands of fellow participants. Get two NYTimes bestsellers written by Spartan founder Joe De Sena when you sign up for a race. Sprint to the starting line for just $69. A high-tech headlamp, a few glow sticks and a hydration bladder like a camelback are a must for this particular obstacle race. Communicate on the Facebook fan page with others in the group and bring some low tech duct tape. TomTom is the Official Timing Partner and the exclusive GPS sport watch technology of Spartan Race. 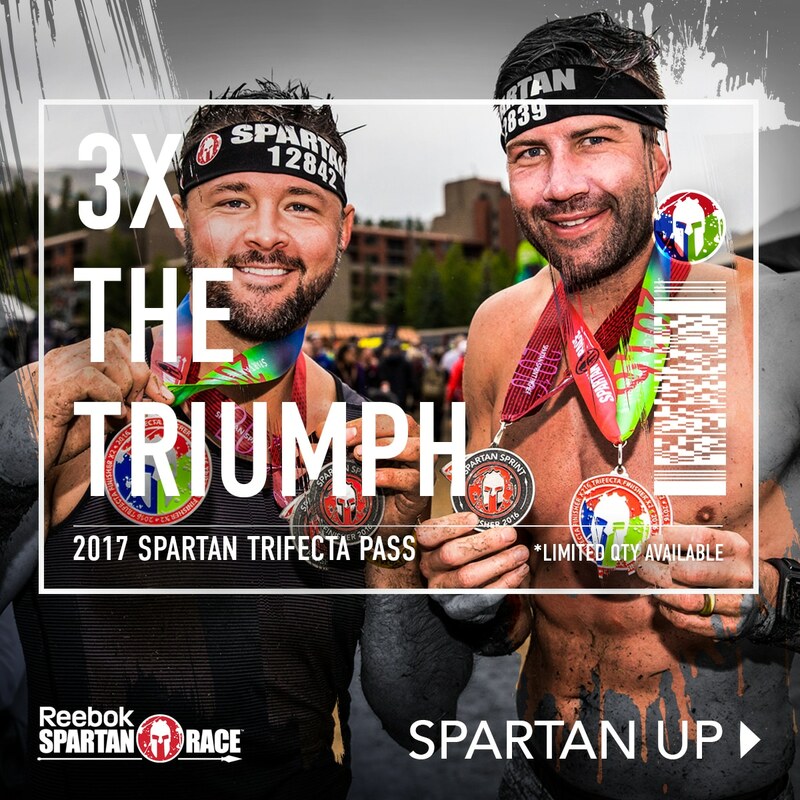 The 2017 Spartan Trifecta Pass might be your ticket to racing fulfillment. Sports Techie, once you have mastered the Spartan Race entry races, think about testing your true grit such as these racers in Vermont. I love survival shows and watching obstacle course races. Perhaps you too will catch the fever and do a Spartan Race while battling the elements such as weather, altitude and wildlife. Remember, this Father’s Day offer ends 06/18/17 11:59PM ET so use code: SPARTANDAD today!